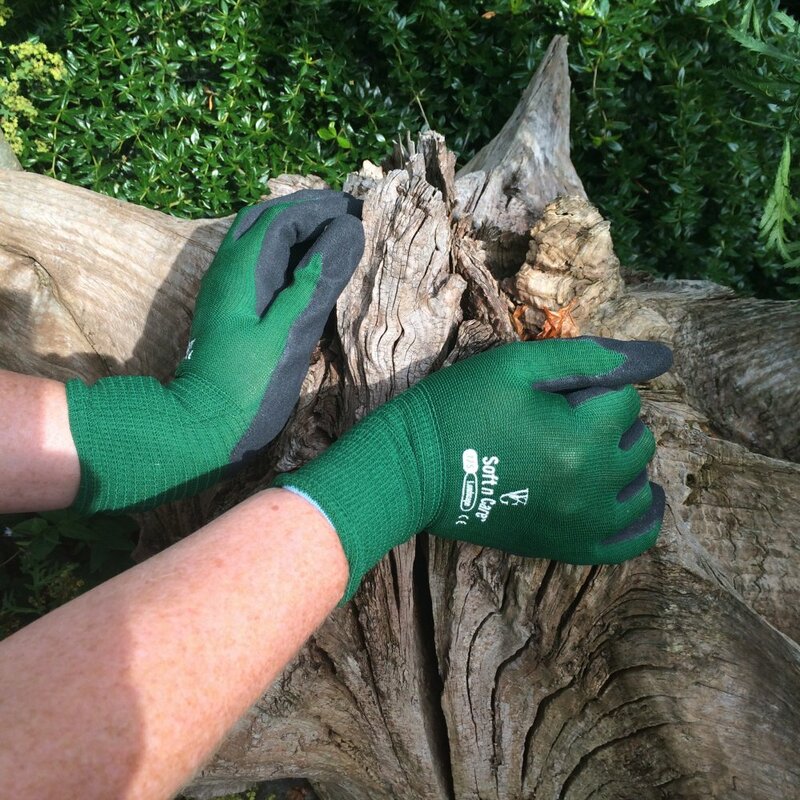 Our soft n care landscape gloves have a 13 gauge nylon lining and fit to your hands perfectly. They offer maximum comfort and eliminate hand fatigue. These gloves are for more active work and are very durable. They are coated with Nitrile and are good for people who have a natural rubber allergy. 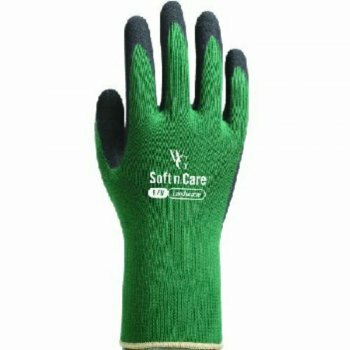 These gloves are washable and long lasting.